DONNA R. DAVIS is a Certified Public Accountant and joined Meador & Jones, LLP in 2012. Donna has over twenty-two years of accounting experience, working in public accounting in both audit and tax compliance and also in the private sector serving as Controller of several businesses including an equipment leasing company and a real estate development business. 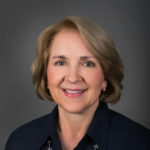 Donna holds a Bachelor of Business Administration degree from the University of Texas at Austin, with a major in Marketing. In addition, she received a Post-Baccalaureate Certificate in Accounting from Texas A&M-Corpus Christi. Donna is a member of the American Institute of Certified Public Accountants and the Texas Society of Certified Public Accountants-Austin Chapter. She has been very active as a community volunteer both in Austin and in Corpus Christi, where she lived prior to moving to Austin in 2008. Some of those organizations include Tejas Family Guidance Center, Austin Film Festival, Ritz Theatre Revival Board, American Cancer Society and Y.W.C.A. She also previously served as an At-Large Member of the Texas Exes Council and as a Trustee of Good Shepherd Episcopal School. Donna is an active member of the Episcopal Church of the Good Shepherd. With Donna’s combined background in accounting and marketing, she is serving as the Marketing & Finance Administrator for the firm.